Everyone wants someplace to call home, a place of their own. The idea of owning your own home is a dream come true. If you have less than perfect credit, it can be daunting. There are legitimate programs that can assist you buying a home with bad credit. It takes a bit of time, lots of discipline and confidence. The past doesn’t have to dictate your future dwelling. There is always a starting point in any adventure. For a mortgage loan or any type of financial transaction, you must be keenly aware of your credit score. This number dictates everything from who you might secure a loan from to your interest rate. A credit score of 720 or above is considered perfect. A credit score at 580 or below is poor. Having a credit score this low does not mean your dreams are dashed, it can be turned around. Credit scores can be easily obtained from your local credit bureau. Do not, repeat, do not pay anyone who says they will fix your credit. This is a scam ! Go back and read the last sentence again. These people are predators like the snake oil salesman of long ago. No one can fix your credit, except you. Reality TV filmed one too many episodes on good hearted people getting robbed of every dime by these crooks. When preparing to meet with your credit bureau, gather all your financial information. This will include banking, investments, pay stubs, and tax returns for the past three years. Remember the more open and honest you are about your financial history, the more doors can be opened. Imperfect credit can happen to anyone. Once you know your credit score, sit down with your banking or credit team. Why was a bill or payment not made in a timely manner? Do you have any legal judgments on your credit report? Were you unemployed for a span of time? Was there an illness that caused you to miss work? Did you have to take medical or family leave for a dire situation? Lay your financial history out like an open deck of cards. Often times a note can be made on your credit report as to why this history of non-payment occurred. Remember lenders are not inhumane monsters without a bit of humanity. Everyone has hit a rough patch financially. Be open and honest with them. The federal government has many programs that are perfect for imperfect credit. The FHA or Federal Housing Administration has a loan program called “Back To Work“. If you were unemployed or missed work due to a family situation, this loan may work. Since it is overseen by the government, you will have to provide evidence why this situation happened. This could be as easy as providing unemployment pay stubs, or medical statement from your doctor. Keep in mind, this loan does come at a higher interest rate. It also carries a higher premium for home owners insurance. Your down payment for a home will also be higher than the norm. It is not futile and can be achieved. 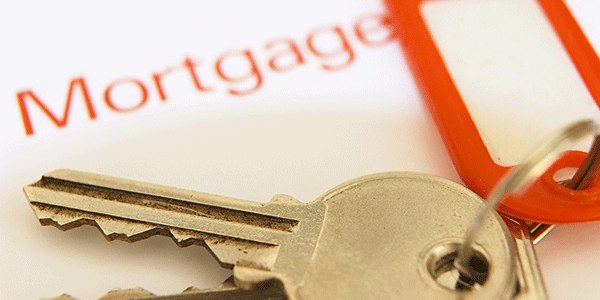 You need to know what the FHA loan expects in full from you as the consumer. Again be honest about everything. A common sense way to jump start a weak credit score is, pay your bills on time. Sounds simple enough, maybe? Not so much. Paying a bill late 1 day or 30 will look the same on your report. Maybe you pay bills by mail and forgot about them on the desk. Start paying on line if this fits. You will save money on postage, it can be done from home and you don’t need a paper check. If you use money orders, it will save the cost of buying them. Again 1 day or 30, the late payment is still late. If you have several credit cards, talk with your banker about trimming a few. You need to show payments made on time consistently. This may mean your favorite hardware store card goes, while the card you use every day stays. Cards for use at specialty shops have very high interest rates typically. If you can only use it at one store, why have it? A credit card can be a lifesaver, too many can make you sink. Keep one or two, make the minimum on time every month. Do not cut up all your cards ! You must be able to provide evidence of positive credit history. The only way to do this is by making a payment. Again the magic words: On Time and Minimum Payment. To achieve the dream of home ownership, you have to know what you can afford. 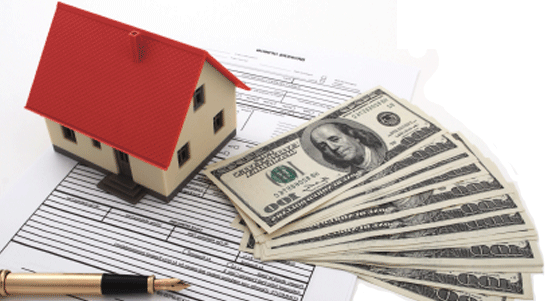 Your mortgage payment will most likely include taxes and insurance. Where your home is located will dictate the cost of taxes and insurance. Do you long for a home in the city where taxes are a bit higher? Would a place in the suburbs near a school be a better fit? Look at the local school levies and bond issues where the home is. If the schools are high achieving, the tax rate will reflect this. If you find a home you love in this area, visit the school board and speak to them. They can fill you in on school taxes and upcoming ballot issues. Your own home is not out of reach by any means. Deciding what you want, what you are willing to sacrifice for and what you can live without is a huge step. Be it a fixer upper or a condo in the city, it is within your grasp. Repairing your credit is a stepping stone on the path to a bright future. Home Sweet Home never sounded so good.